Income generated from the sale of hunting and fishing permits helps fund fish and wildlfie management projects. It is used for habitat enhancements and management activities specifically designed to improve hunting and fishing opportunities on Fort Bragg. Note: Whenever a Federal holiday (not just a training holiday) falls on a Monday we'll be open that day, and closed the following Tuesday and Wednesday. Step 1: Pre-register here online. Click on "My Account" and then "Register". Doing so ahead of time will greatly expedite your permitting process here at the office. For a map of our location, simply Google "McKellar's Lodge Fort Bragg, NC". Our office is immediately across the street. Attend class (offered on open days at 12:00 and 15:00). Briefings will be only at noon during March-May and August. We temporarily suspend briefings during the summer (mid-May to early August). >50% Disabled Veteran - Free Please bring VA documentation with you to acquire a permit. 100% Disabled Veteran - Free Please bring SSA documentation with you to acquire. Annual permits are valid for one calendar year from the date of purchase. Daily permits expire at 23:59 on the issue date, and may be purchased in advance. Inquire at the permit counter for more details. 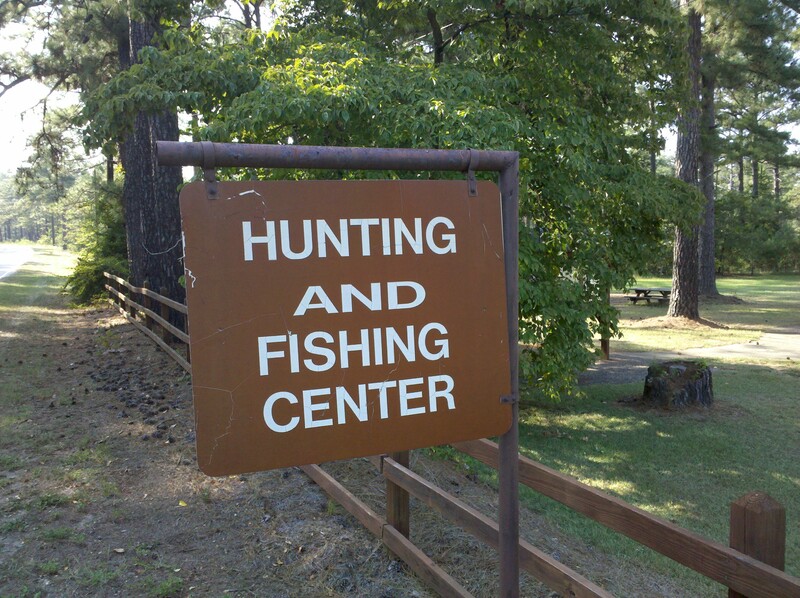 To hunt or fish on Fort Bragg, one must possess a North Carolina hunting and/or fishing license in addition to possessing a post permit. Completion of the Fort Bragg hunter orientation, which is offered here at the Hunting and Fishing Center. Orientation briefings are given every day we are open at noon and 15:00*. *We temporarily suspend orientation briefings in the summer, beginning the day after turkey season closes in mid May. We resume them the Wednesday before fall scouting begins, which is always the second Saturday in August. Feel free to email us or call (910) 432-5427 should you need more details.